The main type of manual bikes are described below. 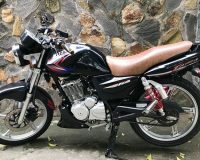 The most common bike amongst backpackers is a Win which comes in many different types with the difference being where the engine has been made and the quality that they are made to. 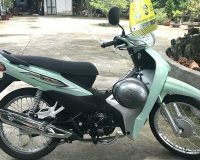 They come in either 100cc, 110cc, 125cc or even 130cc. 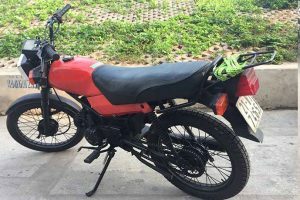 This is the best manual bike you can buy for travelling, they are brand new and you will be the first owner of the bike so they are in perfect condition and this means you don’t have to worry about constant break downs, unreliability or the bike not being worth anything when you get to Ho Chi Minh. Detech are also the best manufacturer of copies so a new Detech is the best bike currently available. This is the actual Honda manufactured Win from Japan. These are the most reliable Wins by quite along way but with this you also have to pay more and they are now old as they are not manufactured anymore. They only come in 100cc and with no electric start. When looking for one of these you need to be careful about how many original parts are still on the bike. Over the years many parts will of been replaced with none original parts and the performance will suffer because of this. These are the best copies of the Win. 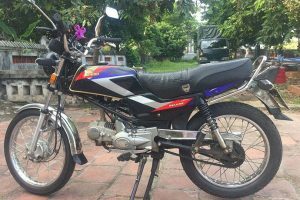 The engines are made in Vietnam, but are a much better engine than the other copies while only a little bit more expensive. 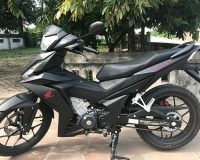 If you are travelling for 3 weeks or more then these bikes are a very good option if the budget isn’t huge but not too tight. These are also the best bikes if 2 people are travelling on the same bike as they can handle the extra weight better, we can also make side racks for you to accommodate for the extra baggage. 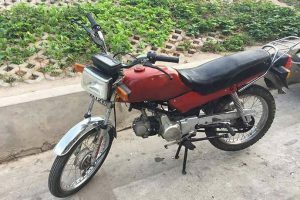 There are many different type of Vietnamese manufactured Wins which can be a good bike if you are on a budget. While these are not as good as the bikes listed above they can still quite good bikes. 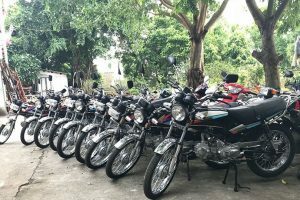 If you are only travelling for up to 3 weeks then these are a good option, over this long you will be wanting to get these bikes serviced again so it is better to go for one of the bikes listed above as you will end up paying the different along the way. Chinese Wins are the cheapest type of Win therefore they also have the highest chance of having problems. Some of these will be in good condition but on the whole they are problematic so generally not a good bike to take. We generally do not stock these bikes are we don’t want to sell bikes that we believe could have a problem and cost people money and time, making their trip worse. With the Wins it is easy to customise the bike to make it something special and unique. 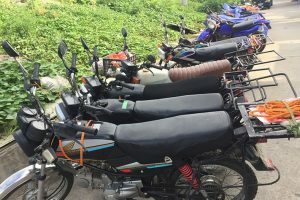 If you are travelling for a long time or living in Hannoi then it is worth thinking about how you want your bike to look. We can easy customise the seat, lights, speedometer, exhaust, panels, paint job and handle bars. While this will not change the performance of the bike it will make your trip that bit more special and normally makes the bike a lot easier to sell at the end of it.